Advanced Use of Economic Indicators - Get deeper into the subtleties and various uses of economical indicators and improve your forex trading skills. Bar charts - Bar charts are commonly used currency trading charts that are vital for technical analysis. Calculating Profit & Loss - Learn how to calculate your profit and loss on every position you take and understand forex trading much better. Candlestick charts - Here you will find detailed material on the subject of foreign currency trading candlestick charts. Learn how to read and use these types of charts. Discount rates - Find out why discount rates are so important for fundamental analysis of the currency trading market here. Downtrends - This is a currency trading downtrend guide that teaches you all you have to know about a currency drop. Economic Indicators - Learn how to use Economic Indicators, the tools that drive the world economy, to improve your forex trading. Entry Orders - In this guide you will read about currency trading entry orders, one of the most basic orders of the Forex market. Exchange rates - Exchange rates are described here in detail, along with their influence on the currency trading investments made by brokers and investors of the market. Fiscal policies - This guide will enrich your knowledge of currency trading fiscal policies, and allow you to understand what they mean and how they can help your investment. 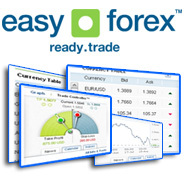 Forex currency converter - Our free Forex Currency Converter gives you accurate and instant foreign currency conversions. Stay on top of the Forex market with our foreign currency converter. Forex margin calculator - Use our free Forex Margin Calculator to help you make better decisions with the Forex market. Forex pivot point calculator - Use our free Forex Pivot Point Calculator to better understand Forex market trends and predict trends before they happen. Fundamental Analysis - Learn the basic of foreign currency trading fundamental analysis, including the various economic indicators that are used in the analysis. Head shoulders - This is an excellent guide for currency trading head and shoulders patterns that are used to analyze charts. Intervention - Central banks intervention is an important way traders can make money through currency trading. Read about recognizing intervention and learning how to enter a transaction with the right timing. Forex 101 - Forex trading 101 or the introduction to forex trading enable us to know how forex works and how to make money with currency trading on forex. Katrina dollar affects - Katrina dollar affects, How will Katrina continue to affect the dollar? Limit Orders - Learn about the different types of foreign currency trading limit orders and when they should be placed. Major Indicators in foreign currency trading - Get familiarized with the major economical indicators out there and learn which are relevant to your forex trading. Monetary policies - Get started at understanding fundamental analysis through learning monetary policies, one of the key factors that influence currency trading. Open market operations - Open market operations are important factors that have an affect on currency trading prices, and should be learned by anyone trying to know fundamental analysis. Opening an Account - Learn how to register for your online foreign currency trading account, including the steps to be done before registering, perliminary measures before signing in and things to avoid in sites for foreign currency investments. Pips and Ticks - Probably the most basic concept every foreign currency trader should know is pips. Here you get to know what are pips and how do they work. Other vital concepts such as ticks are also explained. Placing Currency Trading Orders - Placing foreign currency trading orders could be quite confusing, but once you read these rules about placing different orders such as stop and limit orders, you'll be able to make trades more easily, and protect your funds in cases of losses. Point & Figure Charts - Here you will find detailed material on the subject of foreign currency trading candlestick charts. Learn how to read and use these types of charts. Reserve requirements - Reserve requirements are interesting factors in fundamental analysis of the currency trading market that can help you make smarter investment decisions. Sideways - Currency trading price doesn't just go up and down. Sideways pattern are also crucial to better understand currency charts. Stop loss orders - Stop loss orders are important orders of the foreign currency trading market, and are explored in this guide. You'll learn how to place them, what they are meant for and how to make the most from placing them. Support resistance - Support and resistance level are of utmost importance when it comes to chart currency trading, and this is why is is so crucial to be informed of these indicators. Take profit orders - Make the most out of foreign currency trading using take profit orders. Learn how to place these orders in this guide. Technical Analysis - Technical analysis in the Foreign Currency Trading market is explained here in details, including how to understand the market and which tools to use. The forex market - Find out about foreign currency trading which an in depth analysis of the basics of currency trading, including details of the size of the market, hours of operation and other vital information abot forex. Tops bottoms - Top and Bottom might be unfamiliar to you in a currency trading context, and this is exactly why we wrote this tutorial. Trailing stop orders - If you are interested in learning about placing a trailing stop in the foreign currency trading market, then look no further. Here we describe all the details of placing such orders. Trend types - This guide reviews the various currency trading trend types, and gives you full access to study each trend. Triangles - Learn about symmetrical, ascending and descending triangles that are used for technical analysis of the currency trading market. Understanding charts - The different foreign currency trading charts are explained here in detail, to help you make your technical analysis and invest more wisely. Uptrends - Here we explain about currency trading uptrends and how they are used for technical analysis. Why currency trading - Explanation on some of the most important reasons people choose to invest in the online currency trading market. Currency Trading Quotes - If you want to know how to learn to read foreign currency quotes then look no further and check out this page. Long & short positions - We examine Foreign currency short and long positions acheived when currrency is bought or sold. Market Orders - Learn about market orders, and find out how to place this currency trading order, and the steps needed to place the order correctly.